HBPA is dedicated to bringing the most timely and useful information to consumers who use or are considering the purchase of hearth, patio or barbecue products. Black Goose Chimney and Duct is a member of the HPBA. The main focus of the Duluth-Superior ECO Rotary is to do hands-on environmentally friendly service projects for the local community. Black Goose Chimney and Duct is a member company. 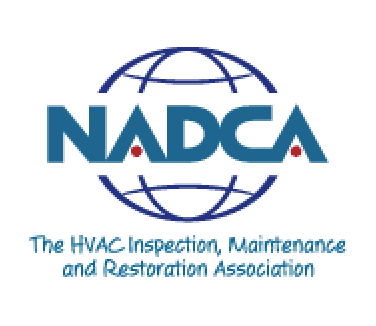 The National Air Duct Cleaners Association (NADCA) is a non-profit association of companies that clean HVAC systems. Its mission is to promote source removal as the only acceptable method of cleaning and to establish industry standards for the association. When done correctly, HVAC cleaning is a very beneficial service for your home or business. NADCA’s dedication to quality assurance helps ensure and promote a higher standard of performance for all of its members. agree to clean according to ACR, the NADCA Standards and comply with NADCA’s Code of Ethics. The National Chimney Sweep Guild, first established in 1977, promotes the success of its members by providing progressive services, encouraging professionalism and ethical accountability and advancing the chimney cleaning industry through public awearness. Black Goose Chimney and Duct is a member of the NCSG. The BBB sets and upholds high standards for marketplace behavior. Turn to the BBB for objective, unbiased information on businesses. Black Goose Chimney and Duct rating is A+. The Duluth Chamber of Commerce creates innovative opportunities for businesses to advance within a global economy. Black Goose Chimney and Duct has been a member of the Chamber of Commerce for 25 years. The National Fireplace Institute has as its objective to increase public safety by establishing meaningful credentials for professionals involved in planning and installing residential hearth appliances and venting systems. Black Goose technicians are NFI certified wood burning specialists. BNI is the world’s largest referral organization. The Lake Superior Chapter in Duluth is the largest, most active in the area. Black Goose Chimney and Duct has been a member for over 6 years. DCN is a “peer-to-peer” organization establishing strategic alliances among quality-minded air duct cleaners around the world. DCN ensures a certain level of quality in the service provided to the consumer.